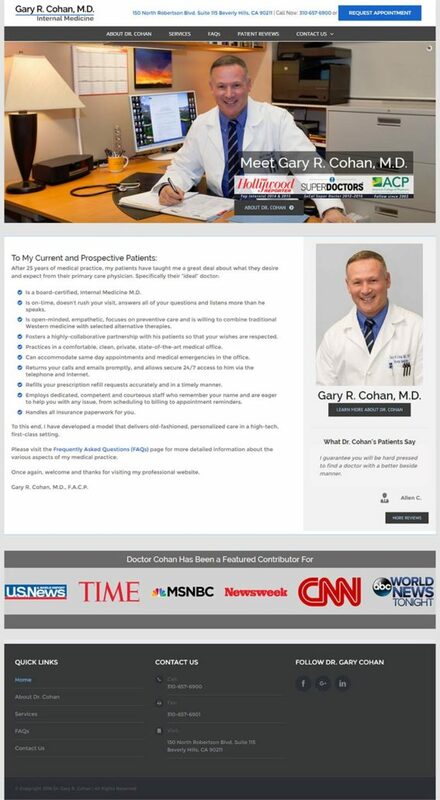 Goal: To update the look and feel of Dr. Cohan’s website to one that reflects his image and appeals to savvy clientele. Doctor Gary R. Cohan is an award-winning internist in the heart of Beverly Hills. 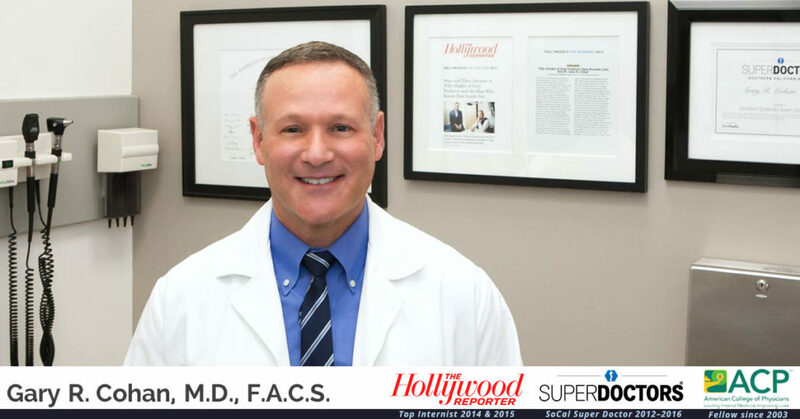 Voted Hollywood Reporter’s top internist for two years in a row, Dr. Cohan’s patients are steeped in media and technology. His website was aging, not working well on mobile platforms, and thus not putting forth the best representation of a practice that is state of the art. 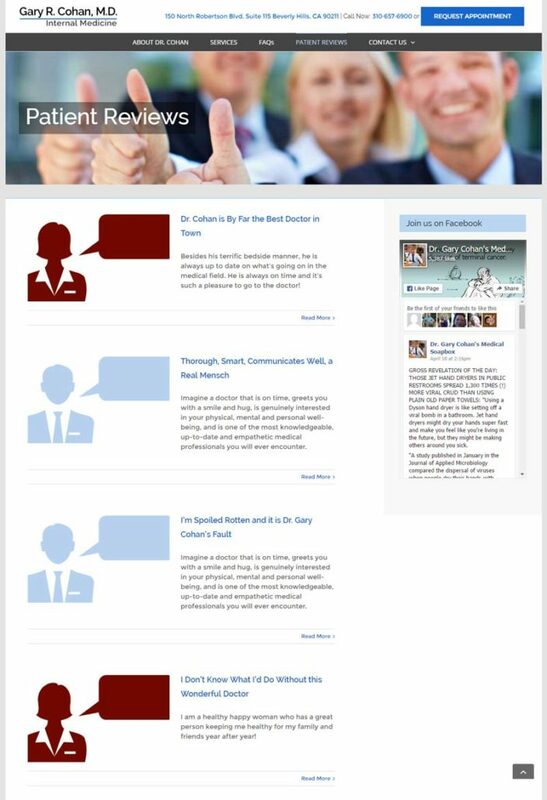 Speed of Like worked closely with Dr. Cohan to create an entirely new site, including a new logo, new taglines, structure and copywriting. We also conducted a professional photo shoot of Dr. Cohan and his office to accurately present the high-end experience his patients can expect. Dr. Cohan requested a new, clean and modern logo to represent his practice. Multiple options were created and presented to Dr. Cohan until he was completely satisfied with the end result. 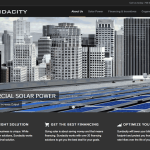 The colors and fonts were then implemented strategically throughout the site for a holistic final product. Even the wardrobe used in the photography session mirrored the colors of Dr. Cohan’s personal brand. 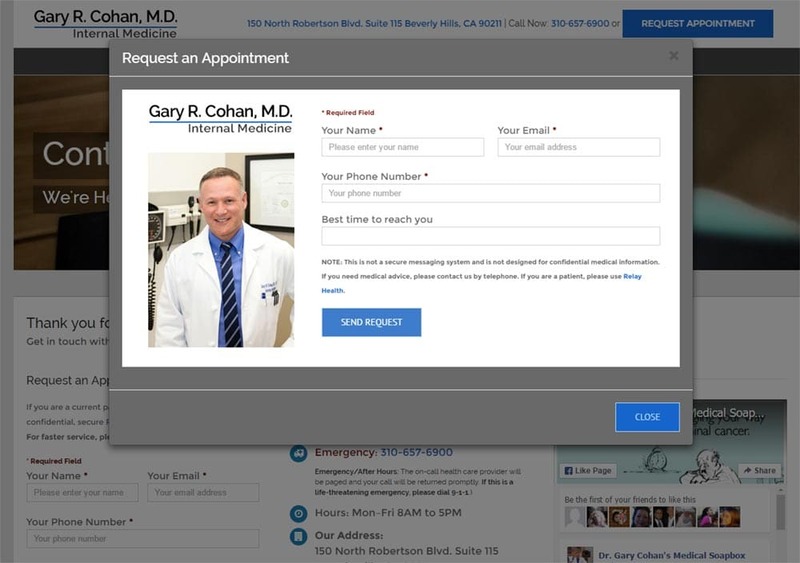 A custom template was created to reflect Dr. Cohan’s modern sophistication without upstaging the content of the site and the quality of service he provides. 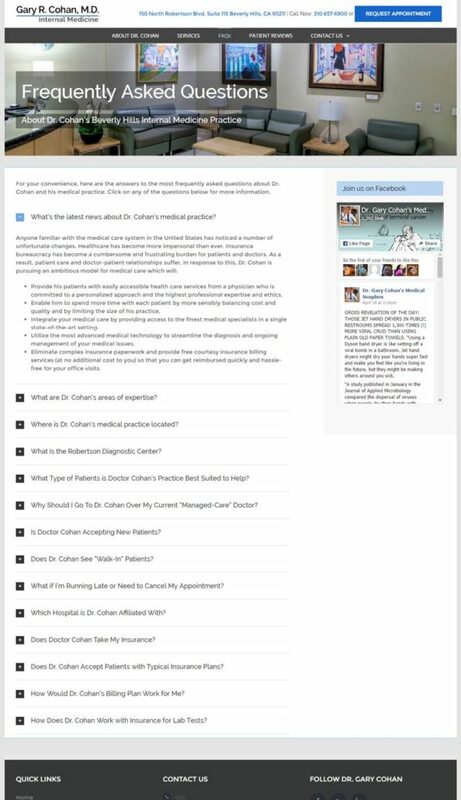 Doctor Cohan is a go-to expert on topics related to internal medicine. As such, he has won multiple awards and has been a featured contributor to many local and national publications and television shows. 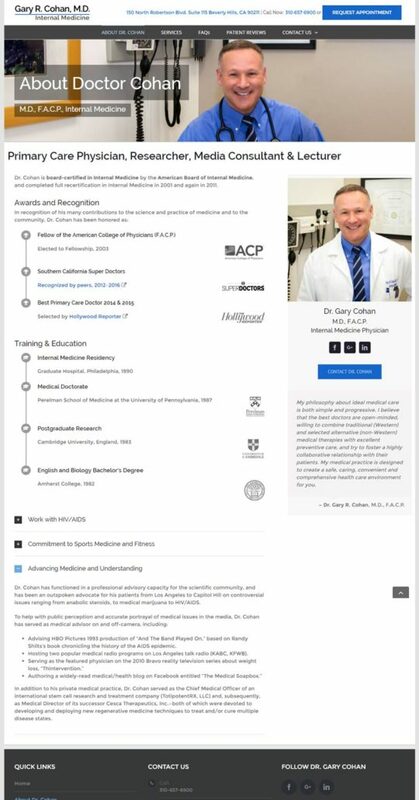 Speed of Like created elements throughout the website to showcase his expertise and the incredible reviews his patients have given him over the years. Doctor Cohan’s practice has been serving the Beverly Hills community for over twenty years, maintaining the latest equipment and standards of care. We conducted a photo shoot of the medical practice (at Robertson Diagnostic Center) and Dr. Cohan. Photos were taken to fit the aspect ratios and sizes needed for maximum impact on the website. 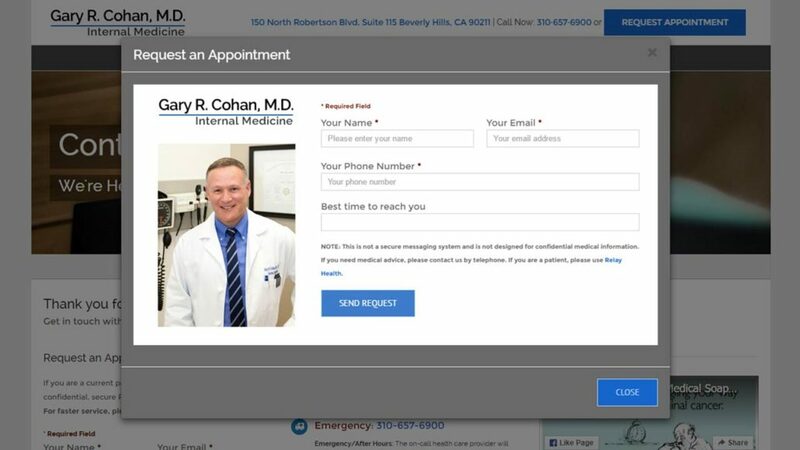 Calls to action were placed throughout the site to encourage prospective patients to connect with Dr. Cohan. 30-day Support: Page content and site functionality guaranteed. A featured image designed with social media sharing and advertising in mind. “Boris became the empathetic and understanding “doctor” for an ailing medical website and not only “cured” the patient, but made it better, stronger and “healthier” for the new technical landscape of mobile communications. And he did it in record time from 3,000 miles away for a VERY reasonable price. Couldn’t recommend Boris and Speed of Like more highly for anyone looking for a modern, mobile-friendly, fully-functional professional website.